The blanket with sleeves! 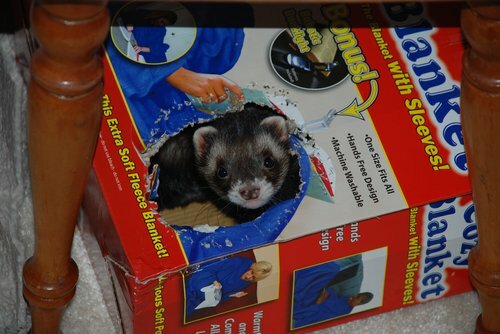 Bonus ferret included! Directions include: Use your right hand to “scritch” him when he pokes his head out of the blanket-with-sleeves box. Hi Minion!